With XML data exchange, a wide variety of data records can be exchanged. The module not only supports the exchange of data within different EULANDA® programs, it is also very suitable for transferring article data to an eCommerce system (= Shop System) and for taking orders from this system. The XML module allows the data exchange of XML files via a dialog mask on the one hand, but also programmatically. The data exchange via the mask dialog is specially designed for the user. This allows you to exchange offers, orders, addresses and articles between different EULANDA® versions. In this way, it is possible to enter orders at a trade fair with an independent EULANDA® and then transfer them to the head office in the evening, e. g. by email. This can take over the orders including the new addresses, so that an order processing can take place very promptly. Similarly, a field service can also be connected. In addition to these simple scenarios, more complex processes can also be carried out. For example, a logistics center can take over the delivery of ordered goods and print out the shipping documents on a remote independent system, or generate vendor orders from customer orders. There are no limits to the XML data exchange. This means that even a web designer or external programmer can easily connect ecommerce systems or shop systems to EULANDA® without having to worry about the complex system of relational tables. 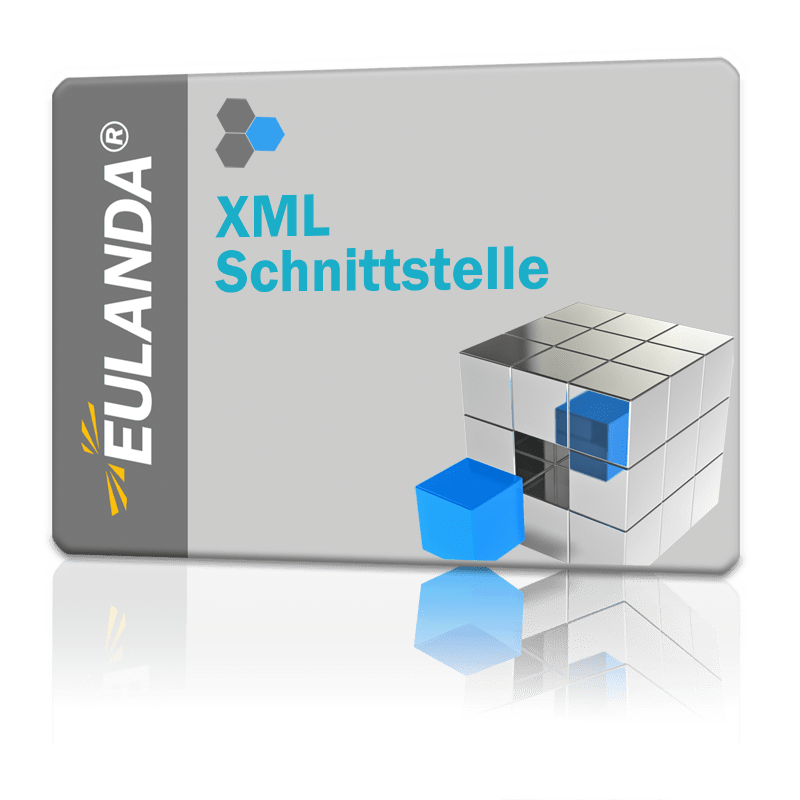 XML data can be imported directly into EULANDA® via iScript, alternatively it is also possible to start EULANDA® in batch and import XML data.